If you’re anything like me, you probably had it in for Killarney too. Soured by youthful summers, when we’d find ourselves there en route to beaches west, it seemed the last place in Ireland I’d ever choose to holiday in. Thronged with bloated coachloads of Top o’ the Mornin’ Tourists – some in gargantuan green pants, below Aran sweaters that made steel wool look comfy – it seemed like some ‘80s outtake of Darby O’Gill and the Little People. But I missed the point entirely. Since the 19th century, the tourist trade has evolved around the most stunning scenery located close to this commercial hub; a point also missed by many active Irish adults 30+ years later, who still avoid this exquisite region for much the same thwarted logic. But no more. While the town may continue to be swamped by the busload from June to September each year, I only now comprehend how compelling the landscape, and the goings-on it supports, is within 30 minutes of the town. In fact, over just a two or three night self-catering stay, a smorgasbord of accessible, affordable, fun activities present a near-enough perfect short break for energetic young families as you will get anywhere in Europe. 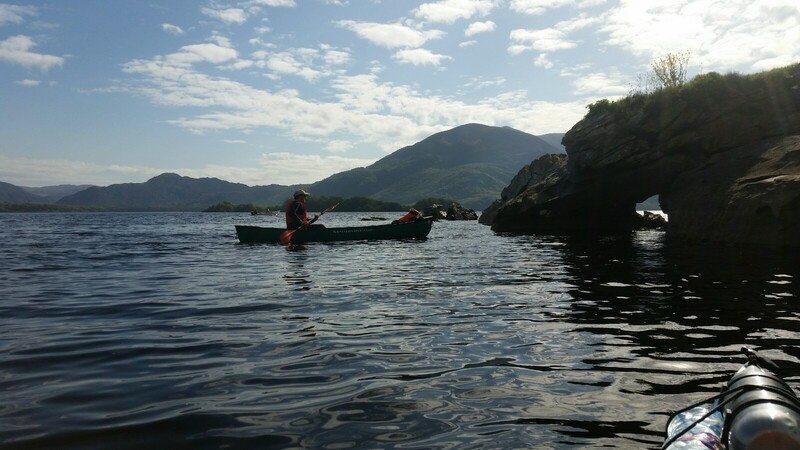 The largest of the three Killarney lakes, and just minutes from the town, Lough Leanne was made for kayaking. Translated as ‘Lake of Learning,’ owing to Innisfallen Island that served as a hotbed of scholarship in the early Middle Ages, the 19km sq. lake is dotted with small, tree-speckled islands carved out in limestone reliefs, like from some Salvador Dali meltdown. The resulting geology is idyllic to kayak around, and through, in the case of its many caves and hollows. And it’s all set to the magnificent backdrop of mountains and dense forests that would give New Zealand’s Fiordland a close run for its money. Run by Outdoors Ireland, a leading outdoor training, adventure and bushcraft company, the three-hour thrill runs each morning and afternoon, beginning at the 15th century Ross Castle and led by a knowledgeable guide. Watch out for red deer coming down to drink at the lakeshore, or, if lucky, float in awe at the majesty ofwhite-tailedd sea eagles gliding above the water. No previous kayaking experience is needed, all equipment (including safety gear) is provided, and the cost comes in at €60 per person. 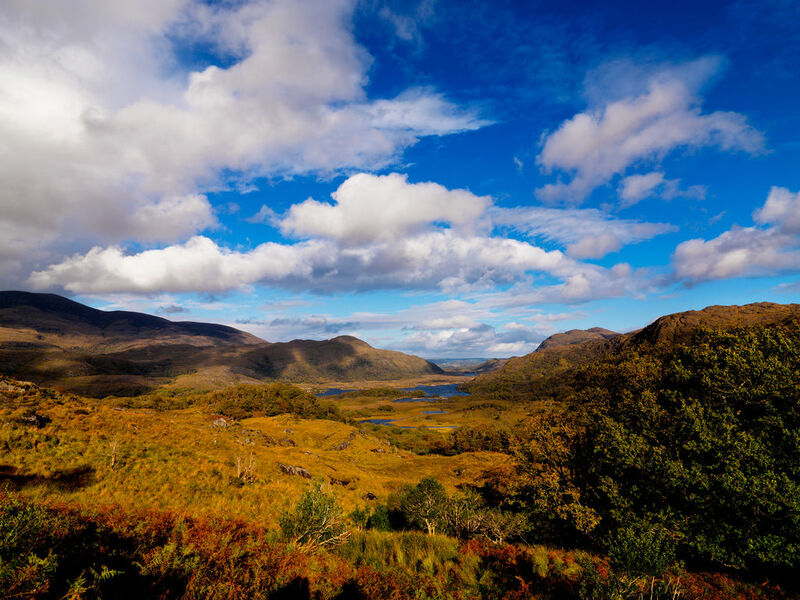 The northeastern realm of Killarney National Park is a weave of woods and wild meadows, known as ‘The Demesne,’ laid out between the town and the lake. Without needing to scale any mountain heights or sportif stage lengths, it is superb for relatively flat, utterly picturesque family cycling and walking. Criss-crossing the petite River Deenagh, several kilometres of hardscape paths traverse meadows on which wild Red Deer graze (our favourite experience being when a mature doe galloped across the path, about 30m in front of us). The paths then split deciduous woodlands, clad in birdsong, before finally emerging at multiple lakeshore stop-offs. Ross Castle serves as the high note of these, an impregnable 15th Century tower house that also offers “refreshments” and toilets, before the path meanders across Ross Island (island by virtue of being linked by 5m-long bridge). The Demesne abuts the town centre on its eastern edge, meaning a coffee or something stronger, isn’t out of the question on the way home. For bikes, Killarney Rent A Bike is a good bet for you and the family, and they can deliver to your accommodation if you’re unable to collect from any of their three premises. A hybrid will set you back €10-15 per day (depending on child or adult), or €85 per week, while a road bike will cost €35 per day (€90 for three days), with hire including bike, lock, helmet and repair kit. If your childhood memories of horse riding go no further than being led around a ring for a few laps, you will be pleased to hear Killarney Riding Stables don’t operate like that. Once more set before the jaw-dropping backdrop of high mountains across Lock Leanne, most of trails angle in and out of the National Park, between woodland and meadow. You will be given a horse to match your individual level of riding experience and ability, from absolute beginner to old hack, leaving you free to walk, trot or even canter in places, with all rides supervised by guides. 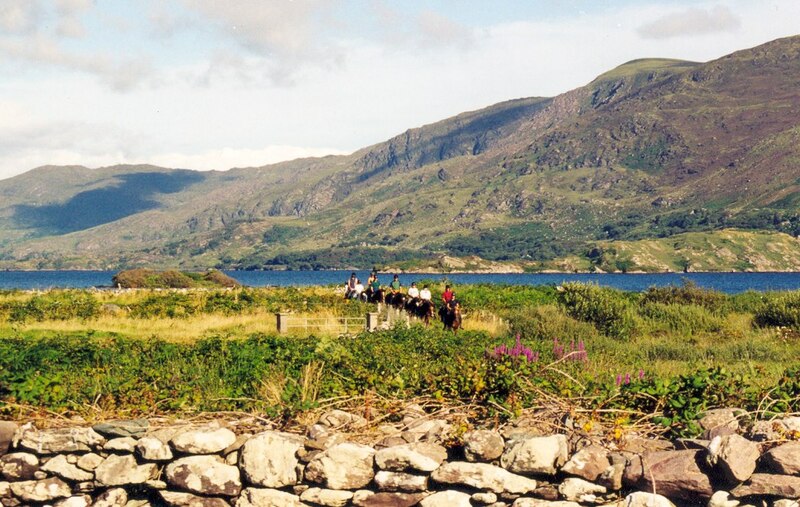 While they also offer a Ring of Kerry Trail Ride, with overnight packages of 3nights/2days and 6nights/5days, the standard package lasts between 1-3 hours, costing €40-€95 per person, inclusive of riding helmets and rubber boots. 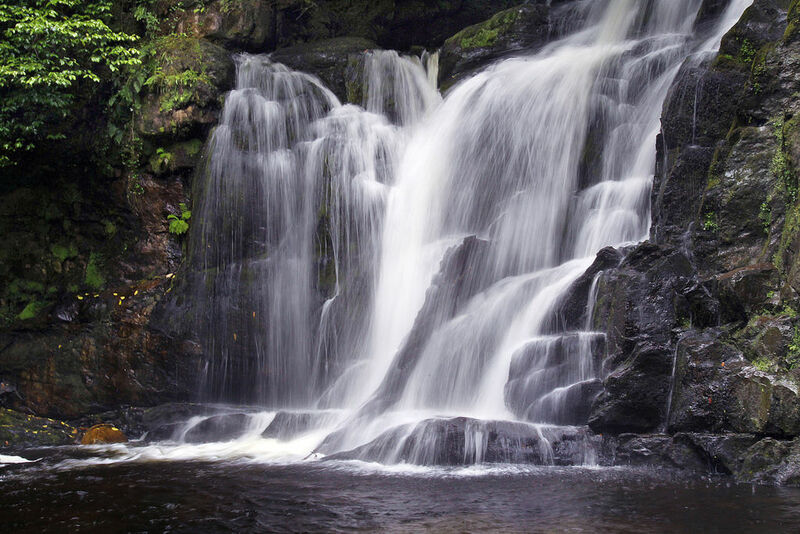 For something a marginally more challenging, there’s the unmisseable, 20m-high Torc Waterfall – arguably the best-known waterfall in the country. Drive or cycle to the stately Mucross House (approx. 5km south of Killarney town) and it is approx 5km for the waterfall loop/return track. The route is likely to be shared with many of the more ‘traditional,’ shall we say, Killarney tourists, especially at either end, but just grin and bear it. For something a little more challenging, and those with kids aged over 10, try the Torc mountain climb from the upper car park (9.6km, 525m). 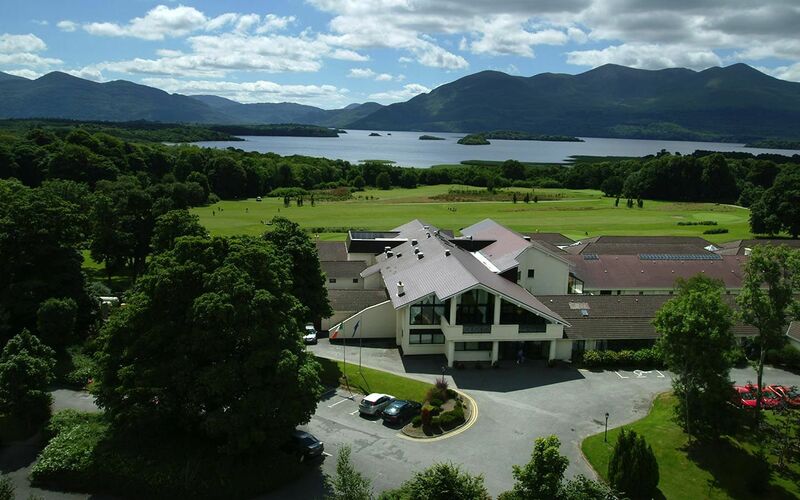 The popular, scenic walking route to the summit of Torc Mountain offers panoramic views of Killarney lakes, Muckross House, the Killarney National Park and the McGillicuddy Reeks. Even though the summit is 525m, much of the popularity of this walk is due to the accessibility of the clear paths and wooden sleepers on the mountain. Rather than plunge your budget into a top hotel, save it for the activities instead. If you’re the independent outdoors type, and camping is a bridge too far, self-catering is your only man. So stay in the Castlerosse Hotel & Holiday Homes, just outside the north-eastern rim of the town, on the road to Killorglin. Above a foreground of golf course and woods, the lake is set out before you as the peeks stilt the skyline to the south. The view is magnificent, and we found the facilities and service first-rate. Guests in the comfortable, two storey self-catering lodges have access to all of the hotel’s facilities (less than 100m away), including the health & leisure club with its 20m swimming pool, jacuzzi, sauna, steam room and gym. There’s an excellent playground and a (cooked) buffet breakfast in the hotel comes as part of the self-catering package. The self-catering lodges come with two ensuite bedrooms, a kitchen, dining area, living room with TV, washing machine/dryer, electric central heating, patio with garden furniture, downstairs bathroom and shower and free WiFi. From the lodges, you can walk/cycle all the way off-road along a network of paths, through the wild woods and meadows to Ross Castle (45 mins) and beyond, without ever seeing a road. You are at the northern footstep of the National Park: it’s all just there, waiting for you to explore and enjoy. The rates for the self-catering Woodland Cottages vary with the time of year and whether you could like to go midweek, per week or weekend. Between now and the end of October, a 3 night weekend break will cost between €355 (from mid-September) and €580 (July and August), with a Bank Holiday supplement of €60; a 4 night mid-week break is between €415-€585, while a full week (Saturday to Saturday) will be between €535 and €1150. Just out the window, the Castlerosse Golf Club is a 9 hole, par 36 parkland course, available through the hotel. The rates for 9 holes (18 holes also available) are €10 for green fees, €3 for trolley hire and €10 for club hire. Contact: email res@castlerosse.ie; call 064 663 1144. Jamie Ball and family were hosted by Castlerosse Hotel & Holiday Homes, Killarney Riding stables, Outdoors Ireland & Killarney Rent A Bike.